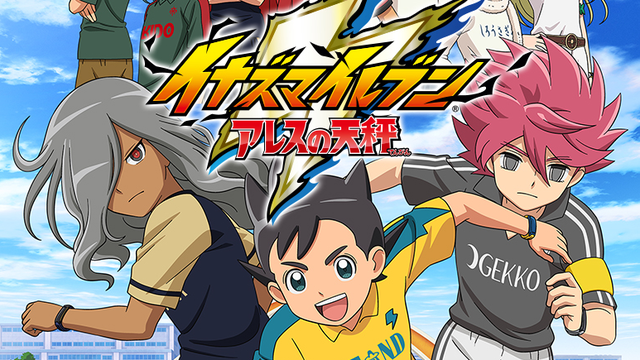 The continuation of the Inazuma Eleven franchise is, it seems, just around the corner — TV TOKYO has launched the official Inazuma Eleven Ares website, teasing an April release for the anime series. The “parallel world” story is set right after the events of the original title, with new character taking the lead. However, the game designers say we may well see some familiar faces as the story progresses. The new title has faced multiple delays, and was originally pegged for a summer 2017 release. The cross-media project will also include a game, which will be available starting this summer for the PS4, Nintendo Switch, iOS, and Android. Kara Dennison is responsible for multiple webcomics, blogs and runs interviews for (Re)Generation Who and PotterVerse, and is half the creative team behind the OEL light novel series Owl’s Flower. She blogs at karadennison.com and tweets @RubyCosmos. Her latest stories can be found in Whoblique Strategies.